They won $65.4 million in the lottery, quit their jobs and bought big houses. Five years later, Virginia Metcalf Merida and Mack Metcalf are dead. Merida's son discovered her body inside her 5,000-square-foot home overlooking the Ohio River in suburban Cincinnati on Wednesday. Merida, 51, may have been dead for days, according to the Campbell County, Ky., Police Department, which is awaiting autopsy results. Campbell County Police Detective David Halfhill told The Cincinnati Post that there were no signs of a struggle in the house. Metcalf, who had a longtime drinking problem, died two years ago at age 45. "It was a classic case of a person who never had anything and didn't know how to handle it," said David Huff, who bought Metcalf's home, a replica of George Washington's Mount Vernon, after he died. "I think things went from bad to worse when he got the money." Instant wealth has roiled the lives of other winners. Most notable is Jack Whittaker, winner of the biggest lottery jackpot in U.S. history. The West Virginian hit the $314.9 million jackpot in 2002 and took a one-time payout of $114 million after taxes. Since winning, he has had hundreds of thousands of dollars in cash stolen from his vehicles, house and office. He has pleaded no contest to assaulting and threatening to kill a bar manager. Last year, a court ordered him to surrender his driver's license and undergo substance-abuse counseling after his second drunken-driving arrest of the year. Last year, he reported his granddaughter, Brandi, 17, was missing. 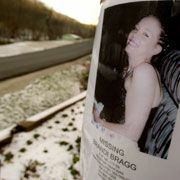 Her body was found weeks later under an abandoned van. Merida and Metcalf won the Powerball lottery in 2000 on a $3 ticket bought at a truck stop in Kentucky. They had been married 14 years but did not live together at the time, according to thePost. They chose the $34.1 million one-time payment and split the winnings. Metcalf took $13.6 million, and Merida pocketed $20.5 million. They told lottery officials they were splitting up to pursue lifelong dreams. Merida left her job making corrugated boxes. Metcalf quit his job as a forklift operator. A month after Metcalf hit the jackpot, a judge ordered his arrest for failing to appear in court on drunken-driving charges. He had careered through a mall parking lot and smashed into several parked cars weeks before buying the winning ticket. He served four days in jail on the DUI conviction. Another judge ordered him to pay $31,000 in past-due child support payments after his name surfaced as a lottery winner. The judge also had him set up an $800,000 trust fund for the child, who was from a previous marriage. Last December, a man's body was found in her custom-built geodesic-dome house. The man had died of a drug overdose, Campbell County Deputy Coroner Al Garnick said. When Merida tried to evict the resident of a second home she bought with her winnings, the renter, Carol Terrell Lawson, sued. A hearing was scheduled for Wednesday. Lawson, who is still renting the home, said she never met Merida and learned of the death only after reporters began calling her.